All of the functions and features (except formula search in Wolfram Alpha) of productivity tools now can be easily accessed from select and transform in Galaxy Note 3. You can write/draw whatever you want in the S Note, tap the selection button, draw a closed (roughly) line to include the written objects, now you have the options to convert/transform the written objects to text, shape, formula, text shape+text. This is more efficient than that in productivity tools. The transform function is more accurate compared to the productivity tools. You can also convert text+shape. This is something that you cannot do with the old productivity tools. For the function search in Wolfram Alpha, you cannot access from S Note any more. But you can use this feature in S Finder. In other words, if you want to search a function in Wolfram Alpha, you can simply write the function in S Finder and you can get the search results from Wolfram Alpha. Formatting S Note used to be a tedious task in creating a S Note (you may refer to this video on typesetting/formatting on the old S Note) . There are quite a few useful functions buried here and there in the old S Note. In the new S Note in Galaxy Note 3, formatting S Note becomes easier. You just select the range to be formatted use the select function, then tap properties. All the typesetting settings are there now. Easy chart is a new feature. It lets you create charts and graphs quickly and easily using S Note. You can create tables, line charts, bar charts, and pie charts with easy chart, which can be accessed from insert button (bottom left). It is also very easy to edit the chart. Easy chart is one of the most polished features in S Note. For Galaxy Note or Note II users, it should be quite straightforward. A lot of Samsung device owners complain about bling-bling features in its high-end smartphones. Easy chart definitely does not belong to this category. In the old S Note, eraser is just a eraser: it clears the area it passes. Of course, you can define the thickness of the eraser just like that in many photo/image editing apps. In the new S Note in Galaxy Note 3, the eraser has additional function: line eraser. It can erase the who line with one tap. The line eraser can also clean your S Note line by line. A lot of S Note heavy users will find this function is extremely handy. Now, you can search your S Notes in Galaxy Note 3. The search covers tags and contents of the notes. This actually is a feature of S Finder, which allows you search almost everything in your Galaxy Note 3. Of course, you can limit the search to S Notes only, and limit the date range as well. It seems the S Finder does cover a blind area of Google search. 5.7″ is not so large when you take notes. The new S Note give you more working space. S Note in Galaxy Note 3 now works on full screen by default. The toolbar also shrinks to one line. You can even hide the one-line toolbar to get really full screen for your S Note. The gesture for hiding the toolbar is a bit nerdy. You need touch the screen with 3 fingers and spreading them apart. 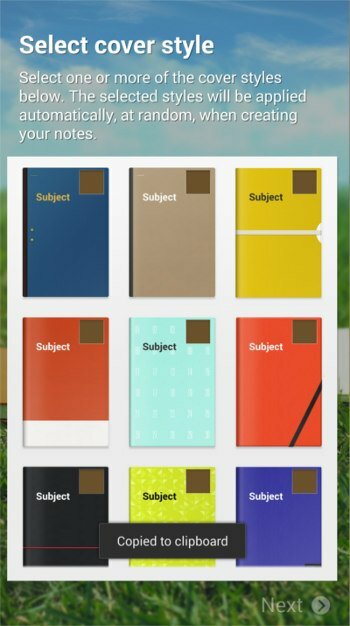 Although you still cannot create your own template with other apps or tools, there are more templates to choose from for your S Note in your Galaxy Note 3. As many S Note users noticed, the templates in the old S Note are for portrait mode. When you use S Note in landscape mode, the S Note looks less impressive. In the new S Note, there are some landscape templates. They are especially useful if you want to export the S Note as an image for a PowerPoint slide. Of course, Galaxy Note 10.1 2014 edition owners will use these templates more frequently than Note 3 owners. When you open the new S Note in your Galaxy Note 3, you can now preview existing S Notes by just dragging the cover down a bit with your S Pen. You can preview all pages of the S Note without opening it. Of course, you can tap any pages to open the S Note. Another nice feature I like is the default feature and default template. In the old S Note, when you create a new S Note, you have to pick a template. For occasional users, it is not a big issue. But for heavy users, this can be annoying. In the new S Note in Galaxy Note 3, by default, a default template and a default template is used. So, it is not necessary to select template every time when you want to create a new S Note. For new users, this may cause minor inconvenience. Scrapbook is a new and exciting feature in Galaxy Note 3. It is essentially your own digital collection of contents from webpages, videos and many other sources on your Galaxy Note 3. You may refer to Galaxy Note 3 online user manual page to know more about scrapbook. The better thing is that the new S Note can use all items in your scrapbook in your Galaxy Note 3. Do you like these new features? How do you enjoy these new features? Let other Galaxy note 3 owners know in the comment box below. Do you mean Note 10.1 2014 edition or Note Pro (which is 12.2″)? There is not Note 10.2 device. For newer S Note, when you open S Note, switch to All notes view (top left), then tap Menu button (3 vertical dots in top right), tap Import. You can only import PDF or S Note files, not powerpoint files. You need convert Powerpoint files to PDF format. Simon, thank you, super helpful…10.1….once I import the file how do I save the entire file for manipulation? I seem to be only editing and saving screenshots and not the entire file. Also… is there a tutorial out there for my specific questions? S Note is NOT a PDF editor. Once PDF is imported, it is treated as images. You can write on it. You cannot find the matching fonts for the original PDF file in S Note. Once you finish writing, you can export it as PDF again. But the object is embedded as images, not text. What exactly do you want to do with the PDF file? We did plan to release a free user guide for S Note a few years ago (based on Note and Note II). But Samsung changed the S Note app so rapidly in each iteration and it is hard to cover all versions and therefore we suspended the plan. It seems Samsung did not change S note app too much since Note 4, we are considering to re-write guide based on current version. I would like to use s note to communicate with my designers while I am in the field but they are running on windows based pcs. Is there an app or anyway that I can transfer an s note file to them for viewing notes and videos that I have attached to the s note file? Right now they can open the file but it will not play the video. Yes, you can use the official Microsoft Office Mobile app. But I don’t recommend it. it is a resource hogger. And it requires some unnecessary permissions. Both are free, and both are far better than Office 365 in Android devices. Yeah, BUT – NONE of this stuff works. All of them should work in Note 3, Note 10.1 2014 edition and Note Pro. The Galaxy Note 10.1 2014 edition has been available in most regions for some time already. The 12″ Galaxy Note Pro or Tab Pro will be available in early February. The distribution channel of Apple and Samsung products are different. For Samsung products, in some regions, it depends on the distributor. So, if you are not in a big country, you probably have to check with local Samsung distributor. Of course, for tablets, if you only need WiFi or WiFi/3G, not 4G, you can get some international versions from Amazon. If you need 4G. you need make sure the bands (frequencies) match your carrier’s (sometimes, even if they match, it may not work). In US, Samsung has many distributors. Some BestBuy stores have a special Samsung section. To watch contents from smartphones or tables (on a TV), it is extremely easy for Android phones/tablets. Most Samsung devices has AllShare support, which allows you share/mirror the screen to Samsung TVs, or any (not only Samsung) TVs with a HDMI port (you need get a Miracast adapter or AllShare adapter). For other Android phones/tablet, wireless display (Miracast technology) is natively supported in Android 4.2 and later versions. There is no limitation on the brands on the TV. If the TV does not support Miracast (most new smart TVs should have Miracast support out of box), you can get a HDMI Miracast adapter ($50-$80). For Apple’s iPhone or iPad, Apple has it is own AirPlay. They only play nicely with Apple devices. You need an Apple TV (attached to your TV) to get wireless display. For Android phones, all manufactures do some customization (different UI). But the core part is identical: Android (but may at different versions). Some vendors may bundle some exclusive features/apps, for example, Galaxy Note devices have a unique feature: S Note (and S Pen). No other Android phones have this feature. Your SIM card should work for all phones, no matter it is an Android, or iPhone. Of course, if the phone is locked (under contract, or subsidized by carriers), you can only use certain SIM cards per the agreement. Actually, some Android phones now have dual-sim support (i.e., you can use two SIM card at the same time in one phone). But it is hard to find in US because US carriers do not like such phones (less sales for them). Thanks again where are from? I need to learn more about unlocked devices. I do have a contract on my gal note 3. Though I have always purchased out right so I wouldn’t be under contracr. I’m based in Singapore. One of the guest editors is based in US. If you have any questions, you can always start a thread in the forum, or contact us. Fantastic post! As a new Galaxy Note owner,I was getting more and more frustrated at the lack of help for its features… but this has helped me hugely! Thank you . Sorry, but I strongly disagree that new way of using productivity tools is better … when drawing shapes it is much better realtime changing of separate shapes. I never managed to draw the same picture and then convert it to shapes afterwards … I’m glad I’ve tried this first time in the store, because now I realy won’t purchase new Note generations! I got your points. I also think Samsung should keep some good components when testing new things. I agree, the new version fails in this respect. Old productivity tools were way better. As a user of GN2 I can compare both old and new version of the app (recently Samsung ported the new S Note to GN2 users). In my opinion the new version is a failure, if you use the app mainly for drawing. A few improvements do not balance removed functionalities. “Vector” philosophy (each pen stroke is a separate object) probably solved certain tech issues but the feel and visual quality of the old version (which I admired) are gone. Shame. Probably a lot of other users have the same feeling. Unfortunately, it seems the software development team in Samsung does not listen to users. They always try hard to impress new users with fancy features, and forget to keep good things in old releases.. The sad truth is that there are no real alternatives for S Note yet. totally agree with you. I want the productivity tool back so bad! I am excited about every new feature of the new S Note, except the eraser. It’s great they added the option to erase a whole line, but when that option is not selected, it doesn’t erase pixel-by-pixel (clearing the area it passes) but instead it does this weird area-erasure and takes whole chunks of content. Ruined it. Many Note owners are waiting for the pixel-by-pixel eraser. If you want new S Note features You have to buy new hardware. No software upgrades from Samsung for the old Notes. Thanks for the post, it’s very useful to new owners of GN 3 and 2014 GN 10.1. Just bought 2014 Gn 10.1 and learning to use those features. Thanks Simon for this excellent post! The top 10 features of the new S note in Galaxy Note 3 are really lucrative enough. I’m highly excited and determined to buy it soon.